Schirmer Elektrik | your reliable and reputable partner for all electro-technical solutions, lightning protection and switchgear. As respected and reliable experts, we take great pleasure in offering you our services in all aspects of electro-technology. We proudly introduce you to our specialist sectors of activity, our all-encompassing range from planning to installation through to maintenance and inspection. The testimonials provide evidence of our expertise, high quality products and individual consultations on each client’s electrical needs on a European basis. We manufacture tested and approved low voltage switchgear units up to 1600 A in accordance with our clients' specifications. Our electro-technical units are installed in industrial, private or commercial constructions located in Northern and Western Europe. Our scope of performance and services encompasses all electro-technical sectors within the assembly of electrical control facilities, installation of switchgear and lightning protection for industrial, commercial and domestic use. 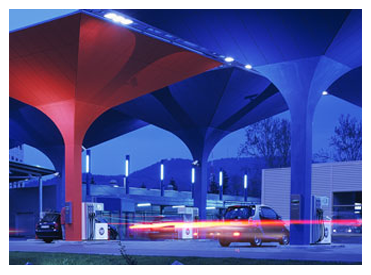 We have acquired considerable experience and expertise in project design and planning for carwash units, petrol stations and administration buildings requiring bespoke switchgear composed of customised products from our own facilities using components from reputable suppliers. Our expertise extends to implementation of complete lightning protection concepts based on appropriate risk assessments. For two decades the products and services of Schirmer-Elektrik have inspired confidence and loyalty in our customers. Interlinked business activities and areas of expertise enable us to deal simultaneously with general electrical matters and as specialists. Our team of highly qualified staff, in combination with tried-and-trusted technologies, ensures efficiency and reliability from the planning stages right through to a prompt handover. Our experts are based at the headquarters in East Germany and are active in all sectors, from private and domestic through to commercial and industrial. Our ability to conceive and implement expedient, flexible and high standard solutions for our clients justifies our position as a reliable and reputable business partner!